The real challenge and training of the school begins in day 5 and 6. Here the school gets interestingly difficult. You will be asked to perform some tasks with your imagination within a given time. In the business games, the students are shared into various circles with each circle having 10 students at maximum. 2. 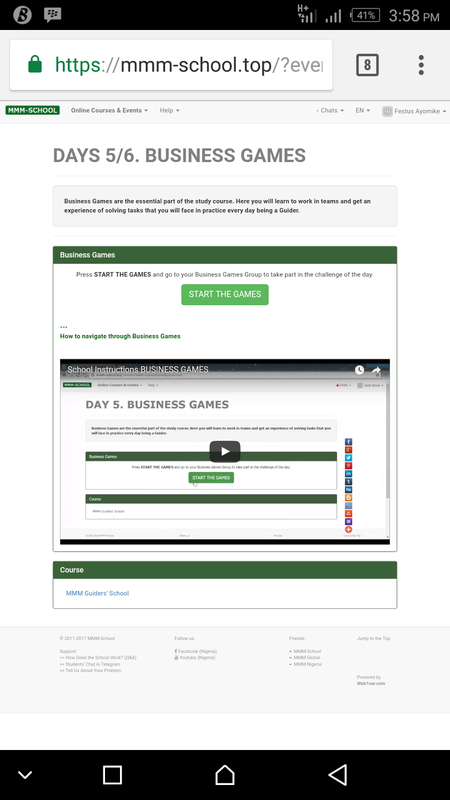 You must contribute to the completion of the tasks given in the games. 3. Your Mentor will ask your group to nominate representatives for the group, to be on a safe side you can bring yourself out. 4. Make sure your name is included in the final list that will be submitted to the mentor. There will about 7 tasks given to your circle and you are expected to solve this problem together as a team, so try all you can to be part of the team. When Is the Right Time To Invest In Bitcoin?